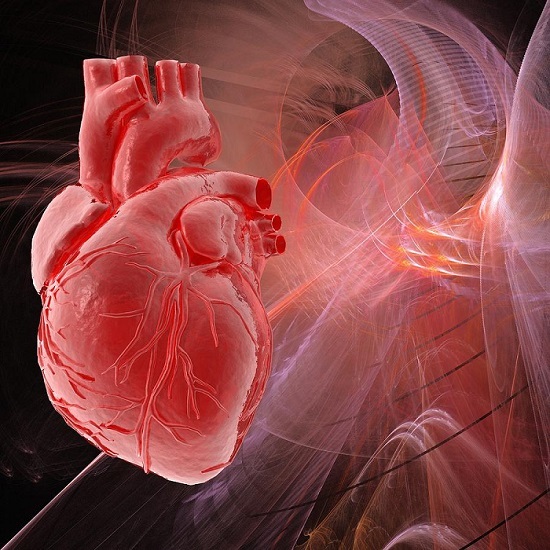 Researchers identify the link between inherited DNA sequences and heart disease. A study to examine recessively inherited genome-wide DNA sequences has for the first time discovered a potential link with Britain’s biggest killer, Coronary Artery Disease (CAD). The research led by a team from the University of Leicester is the first time that recessively inherited DNA sequences in the whole genome called Runs of homozygosity were examined for a connection to the disease. The team state the findings show that having more stretches of DNA containing the same version of a gene, one inherited from each parent, is associated with increased heart disease risk. The opensource study appears in the American Journal of Human Genetics. Previous studies show that CAD is a terminal clinical manifestation of cardiovascular disease and is the leading cause of death worldwide as well as being the UK’s single biggest killer. Nearly one in six men and one in ten women die from CAD. CAD is a complex, multifactorial disorder originating from a complicated interplay of multiple genetic and environmental factors. The lab are at the cutting-edge of genetic research to understand the key genes that increase a person’s risk of premature coronary heart disease, which can lead to a sudden heart attack. Earlier studies from the team have found over 40 such genes. The team explain that Runs of homozygosity are regions of the genome with identical copies inherited from parents and traced back to a common ancestor. They go on to add that to their knowledge there is no study that has examined whether genome-wide homozygosity levels are a risk factor for CAD and whether Runs of homozygosity might play a role in regulation of gene expression within cells of key importance to atherosclerosis. Previous to the current study contributions of Runs of homozygosity to the genetic architecture of CAD are not known. Therefore the researchers’ primary goal was a comprehensive analysis of association between genome-wide homozygosity measures and CAD in individuals of white European ancestry. A secondary aim was to explore the association of Runs of homozygosity and gene expression in human monocytes and macrophages. To investigate this the current study analysed 24,320 individuals from 11 populations of white European ethnicity. This revealed statistically significant differences in homozygosity levels between individuals with CAD and control subjects. The data findings showed that on average, individuals with CAD had 0.63 Runs of homozygosity more than control subjects. The results also showed that the average total length of Runs of homozygosity was approximately 1046.92 kb greater in individuals with CAD than control subjects. The current study qualified a measure of genome-wide homozygosity levels in relation to CAD with an estimated 13% increase in CAD per 1 standard deviation increase in the proportion of the autosomal genome covered by Runs of homozygosity. They go on to add that individual Runs of homozygosity showed significant associations with monocyte and macrophage expression of genes located nearby. The researchers note that the findings are important because they provide evidence for an excess of Runs of homozygosity as a potential contributor to CAD and therefore support a theory on the role of recessive component in the genetic architecture of CAD. They also stress that additional work is needed to unravel the exact synergistic role of multiple recessive variants, homozygosity levels and their association to CAD. The team conclude that research to improve the understanding of how a person’s genes can increase their risk of a heart attack is helping the medical community to find new ways to target the effects of those genes, which could lead to new drugs to prevent these deadly events.